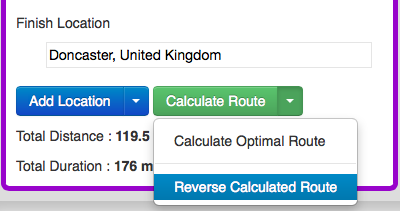 Speedy Route now allows you to 'fine-tune' a route after it has been calculated by manually dragging and dropping locations on the route into your preferred order. 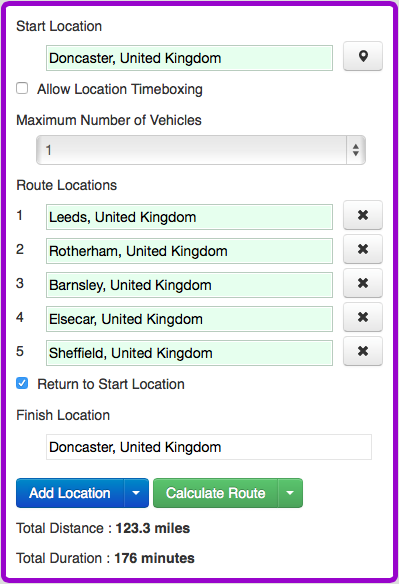 Please note that 'drag and drop' route manual re-ordering is currently only available for single-vehicle non-timeboxed routes, and that an initial route must first be calculated for its locations to be draggable. 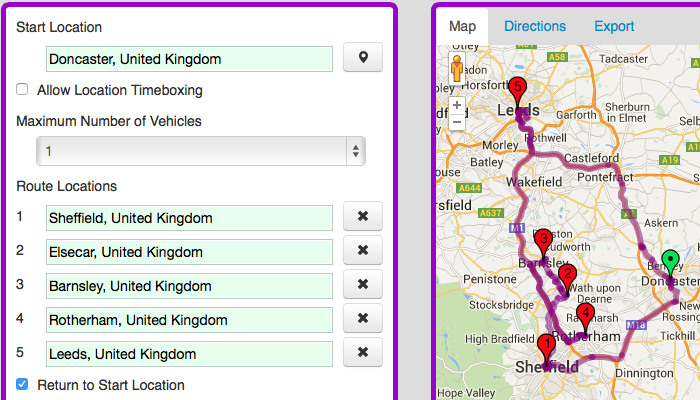 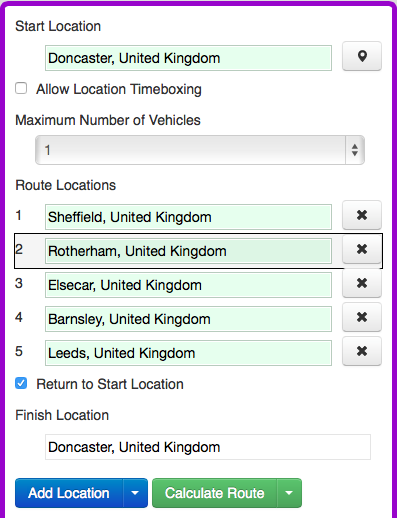 As can be seen in the above example, any manual 'drag and drop' route alterations you have made will also be preserved in the reversed route.